Online behaviors and buying preferences evolve constantly. Customers jump around relentlessly from apps, to messaging platforms, to social sites and websites. How do you woo these “moving targets” into engaging with your ecommerce promotions, opting into your offers, and buying your products? Your marketing and media needs to “move” them. You experiment with a variety of ecommerce promotion ideas available to you now. We’ll run through a heap of them and hopefully offer a few you might want to try to build your audience and boost sales. Coupons have always been a staple in retail promotions so we need not question their power. However, in the digital shopping realm, coupons play a role beyond simply providing a purchase incentive. They act as bait to hook new email subscribers. Of course, you’ll follow-up with subscribers, so consider expanding your portfolio of coupons to create specific subscriber segments that will receive relevant offers. You can offer coupons explicitly for product purchases, but may also find coupons marry well with offers to receive newsletters and useful downloadable content. Your options for delivering coupons are many. GlassesUSA gets right to it by presenting a huge discount for first time buyers on their home page via a popup that “greys-out” the page until you respond. The average online conversion rate for ecommerce shoppers hovers between 2% and 3%. At least 97% bail on you. However, a failed attempt to capture a sale doesn’t mean you can’t capture email addresses. While blog content helps attract traffic, one of your content marketing goals should be to convert the traffic into subscribers. Offer eBooks and other lead magnets such as checklists, mini-courses, templates, tools, and more to motivate visitors to give you their email addresses. Think value. Think relevance. What can you offer to help a prospective customer solve a problem? Think of your lead magnet offer as something so valuable it’s worth paying for—then deliver it free. You not only want customers to buy your products; you want them to keep buying. Ecommerce brands accomplish this by making their best customers feel valued. Do so by giving them valuable rewards through a customer loyalty program. Create a loyalty program that offers customers an incentive to buy more often or spend more on their purchases. Loyalty programs can take any number of forms, but generally feature a system whereby points are accumulated that build increased buying power. You might also consider loyalty programs that reward buyers for doing things beyond buying such as writing reviews, sharing your pages and posts, and submitting photos. The first feature on the Pure Hockey homepage is information about their “Pure Rewards” program that aims to deliver bonus buying power to loyal customers. People love free stuff. Create buzz about your brand with giveaways. Promoting giveaways on your website and via social media puts your brand in front of new eyes and grows your email list. A simple giveaway by Ginger Heat Muscle Rub encourages participants to “Like” the brand on Facebook and enter to win free product samples. A holiday giveaway hosted by Mixed Hues offers prizes for 12 days and delivers a discount just for entering to make everyone a winner. The examples of giveaways shown above were created with templates from ShortStack, a platform that makes it easy to create an immense variety of ecommerce promotions. Instagram and Facebook contests—or contests you promote on any social network or channel—are one of the best ways for ecommerce brands to generate awareness, build community, drive traffic and boost sales. Create a unique hashtag for the promotion. Create an image or video to announce your contest. Create example posts to inspire users. Secure legal rights to re-use user-generated content. Display the curated posts in a gallery on your website and social channels. Adhere to the rules of the network and publish the policies of the contest. I stumbled into a fun tactic while researching this article and found it to be a powerful idea: create a challenge. Those that join it share a common cause. They’ll welcome your ideas, are likely to share your content, and may consider purchasing your products. At the very least, they’ll experience a memorable, personalized experience with your brand. NaturallyCurly invited customers and fans to its “No sugar challenge.” Joining means opting in for email updates. What a great way to create a bond between a brand and its fans. A post on the SEMRush blog wisely recommends focusing on cross-selling your products to increase sales. They offer as an example, a customer that has purchased a mobile phone being offered a screen guard or case. It shouldn’t be difficult for you to think of practical cross-selling opportunities to offer your buyers that will add value to their purchase and dollars to your cash register. Upselling works too. In fact, Econsultancy says it works 20X better than cross-selling. The suggested product must fit the original needs of the customer. Price sensitivity is bound to be an issue, so be clear about the benefits of upgrading. Ask a food server what their favorite dish is and they’re likely to respond with, “Our most popular pasta dish is the…” or… “If you’re really hungry, everyone really loves the…” — or something like that. The suggested item might be something they’re known for, can prepare most easily, or profit the most from. Many restaurants spare you from having to ask by highlighting their most popular menu items on the menu. Ecommerce companies can do the same. It’s human nature to go with the crowd. Also, buyers value direction. Show them your best sellers, or best sellers in specific categories. You’ll reduce overwhelm, and accelerate sales. Imagine knowing little or nothing about games, but you’re shopping for a gift. You’d welcome suggestions to buy the most popular games. Nutty Squirrel Games gets it and helps with this smart form of suggestive selling. Buyers value when online stores provide insights and advice to help make more informed decisions. Enter the vast array of interactive content tools such as assessments, configurators, chatbots and recommendation engines. Tools such as these enable you to walk the customer through a series of questions and deliver recommendations based on the answers—like a helpful salesperson would do. While your online tool helps prospects and customers determine their priorities and preferences, it also helps you gather useful data, which might drive sales in the moment, or later, when the data is used to personalize your subsequent communications. 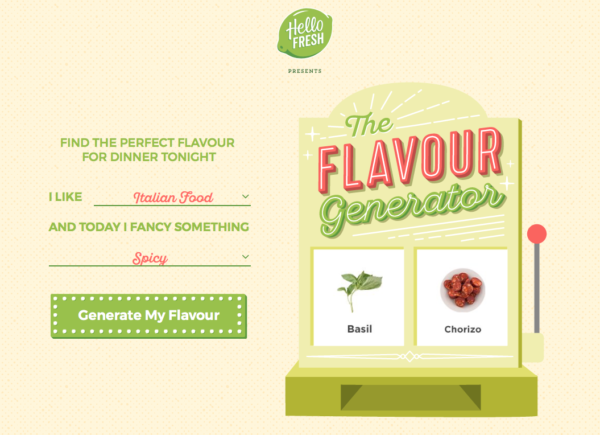 The “Flavour Generator” from Hello Fresh is a great example of a simple assessment tool. It’s designed to inspire cooking ideas, which clearly aligns with the brand’s recipe box products. Help yourself to the quiz offered on the Warby Parker homepage and after answering five quick questions the site suggests frames that fulfill your preferences and offers to send them to you to try-on. Images obviously help sell products, but are merely par for the course. You can boost sales of new, featured, or popular items by creating short promotional or review videos. Test the idea with just a few items and measure the impact to help establish if the investment in creating video pays. If you discover videos generate sales you can expand the program with more videos and experiment with different approaches to video production and different types of videos. A number of products offered on WatchShop present shoppers with the option to watch short product videos. However, many visitors will arrive directly on product pages and not see your homepage. Make certain your most important risk reduction messages are also displayed in at least one prominent place on product pages. Test the messaging, design and page layout to determine what works best. A product page on YourSuper reminds would-be buyers of its shopper-friendly policies on a sticky header bar and in another prominent element beside the call to action. I can’t decide whether to say it’s a good idea to include user reviews to boost sales or it’s a bad idea to exclude them. Both are true and it’s probably fair to say, thanks to Amazon, buyers expect to find them. Standard ecommerce product review systems are useful, however, those that include photos and/or videos that embellish the customer stories are even more convincing. Would-be buyers will often forget about their wishlists, so send friendly reminder emails to inspire customers to complete their purchase. Customers often dropout of a purchase process when they have concerns about the security of their payment. 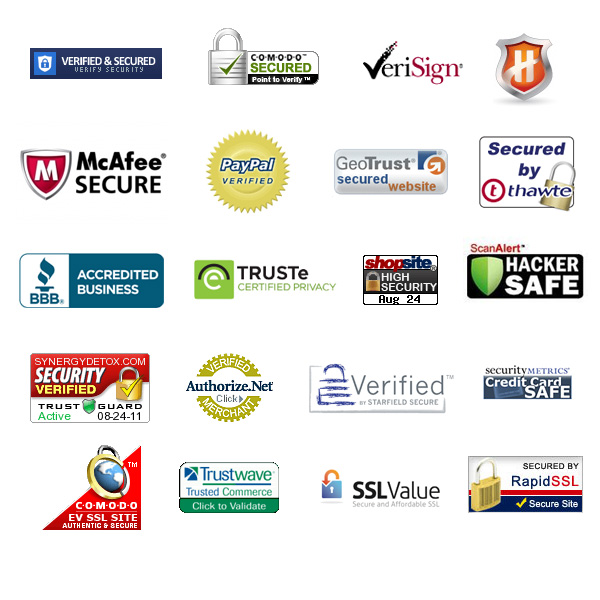 Address this challenge by including one or more “trust badges” on your checkout page to convince customers the process is safe and secure. User-generated content (UGC) can be collected and used in a variety of ways. The GentleFawn store gathers photos via an Instagram hashtag and features them a gallery on their homepage. Savvy ecommerce brands cater to new and existing customers by gathering feedback with satisfaction surveys. A survey done well builds goodwill. The data you collect enables you to improve the user experience. Both equate to smart marketing. Though satisfaction surveys are most commonly handled with email, Spartoo is an ecommerce company that takes a proactive approach by offering a survey on its homepage. A discount helps motivate shoppers to comply. Add an exit intent pop-up to your website to capture visitors on the verge of leaving. Give them a reason to join your email list by offering a free guide, discount, or some incentive that aligns with your brand. Marketing automation platforms enable you to send customized emails to shoppers that have abandoned shopping carts. Put personalized information to use. Include social proof such as customer reviews, ratings, etc. Offer viable options such as related items. Send discounts before giving up. Shortly after I left an item in my cart without completing the purchase, Michael’s sent me an email telling me I have great taste, which showed me the item again and suggested other products I might like. Prospects and customers are giving you their email addresses. Send them something in return: email. Email marketing allows you to send targeted—and well-timed messages—at various stages of the buying lifecycle. Ecommerce brands can take a cue from the shoe company Toms, where “Every purchase has a purpose.” Toms has built a reputation for improving lives and giving back. Their customers understand, appreciate and support the mission. Everyone wins. Charity programs that come to my mind from ecommerce leaders include Pura Vida Bracelets and Warby Parker eyeglasses. While Christmas, birthdays and anniversaries are obvious special occasions, you can promote special occasions year-round. For instance, in February you can create sales, special offers, promotions, contests, giveaways and even downloadable content around Ground Hog Day, Valentine’s Day, Presidents’ Day and the Super Bowl (to name just a few). Here’s an example of simple voting poll an ecommerce company might do to attach their promotion to the Super Bowl hoopla. Influencer marketing takes many forms beyond celebrity endorsements and paying popular YouTubers to mention your products. Instagram is for people who love images. It also appears to be for people who love to shop. Instagram reported 60% of its users say they learn about products and services on the platform and 30% have purchased something they discovered. A study by Shopify reported the average order value from Instagram marketing is $65.00 (second only to Polyvore). Engagement on Instagram is 10 times higher than Facebook. The key to Instagram marketing is engaging users and moving them to your website. How’s it done? Show pictures of customers using your products (a.k.a. user-generated content). Carefully select a compelling page on your website to feature in your Instagram bio. This is your one and only link opportunity on the network. Stitch Fix uses the link in their Instagram bio to direct traffic to a style gallery. A “Get Started” call to action atop the page introduces how the shopping service works and a gallery of photos and videos link to various products and promotions. Next up for your list of ecommerce promotion idea is the opposite of what you just read. That is, in addition to sending Instagrammers to your store, you might also send shoppers to your brand’s Instagram account. Consider your Instagram account a destination for building your audience and earning sales from prospects that have never seen your Instagram feed or profile. They could discover the credible proof they’re looking for with a branded hashtag or on an Instagram account you’ve populated with authentic user-generated content. ModCloth features its #MarriedinModCloth hashtag on the homepage inviting visitors to Instagram where they find thousands of images created by customers. Ecommerce companies sometimes make the mistake of directing traffic from search, social and digital ads to their home page or shopping cart. Typically, neither is an ideal approach for increasing conversion. Try directing first-time visitors to information-rich product landing pages. Create pages that step visitors through everything they need to make an informed purchase decision. Showcase some combination of a benefit-focused headline, value proposition, social proof, risk reducers and relevant images and video. “Mobile shopping clicks overtook desktop clicks sometime in the summer of 2015 and continue to rise,” claims ROIRevolution. The retail-focused agency makes the case retailers can no longer afford to adopt a laissez faire mentality regarding mobile advertising. In fact, many shopping sites now recognize the importance of a mobile-first strategy. Mobile advertising combines geolocation and mobile-ready ads to connect shoppers to your store while they’re commuting, sitting in a waiting room, or even shopping. Optimize the website for mobile users with responsive design. Use the Facebook and Instagram ad platform. Appeal to the “in-the-moment” needs of the mobile user with “snackable” content. Utilize Google Analytics to better understand the behavior of your audience by channel. Who wants to wait weeks for their product to arrive? Worse yet, who wants to wonder when it will show up? These are clearly rhetorical questions. A good portion of ecommerce companies can borrow a page from various subscription businesses to create incentives that encourage auto-shipping, and automatic renewals. Chewy offers instant savings for customers setting up an autoship option for the first time and sweetens the deal with bonus savings on select brands. SEO and paid search need to be weapons in the ecommerce brand’s marketing arsenal. However, your keyword selection needn’t be limited to targeting buyers shopping for specific products. An increasing percentage of would-be buyers on mobile devices are looking for ideas. New research from the Think with Google site offers insights about selecting keywords to optimize for shoppers that are idea hunting. Searches for “ideas” on mobile are rising fast. Mobile searches for “shopping lists” are spiking. “Outfits for” is a hot partial search term. Online sellers that don’t offer a live chat option lose business to competitors who do. Live chat is a way to assist customers and is becoming the most desired method of contact—especially for millennials. Econsultancy reports live chat has the highest satisfaction levels for any customer service channel, with 73%, compared with 61% for email and 44% for phone. 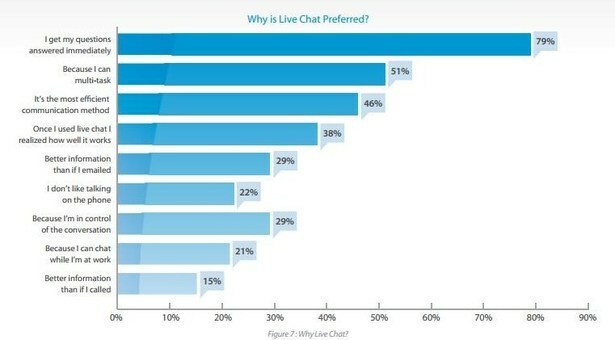 The post cited above features interesting data that reveals why live chat is preferred. Immediacy wins. In this, my last tip, I was going to get into ecommerce Instagram advertising, but then I thought about all the various types, including the emerging “shoppable ads.” It’s not easy to keep up with Instagram advertising. The same goes for Facebook, Twitter, Amazon, Google and any other digital property that sells ads. Bring a pro to the table. Advertising can be expensive, but that’s only the case when it doesn’t work. An ace media buyer will show you where to place your chips and perpetually improve your ROI from the digital advertising programs that drive ecommerce sales. About the Author: Barry Feldman operates Feldman Creative providing clients content marketing strategy, copywriting and creative direction. Barry’s authored three book including the best-selling personal branding guide, The Road to Recognition. Visit Feldman Creative and his blog, The Point.